An enjoyable stay in real nature. We had a very private clean site. Waterfront with a beautiful view. Fishing was good and the Park staff were extremely helpful. I would recommend to people who do not want to be crowded. 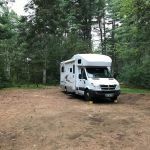 We camped at Algonquin Provincial Park - Mew Lake Campground in a Motorhome. Wooded sites, well spaced, easy access with our motorhome. Centrally located in the park. Your entertainment is the park, not the campground, We saw moose on the Side of the road. This campground s perfect for the old railroad bicycle trail, which we enjoyed. A great choice if visiting the park. Friendly staff. No WiFi. 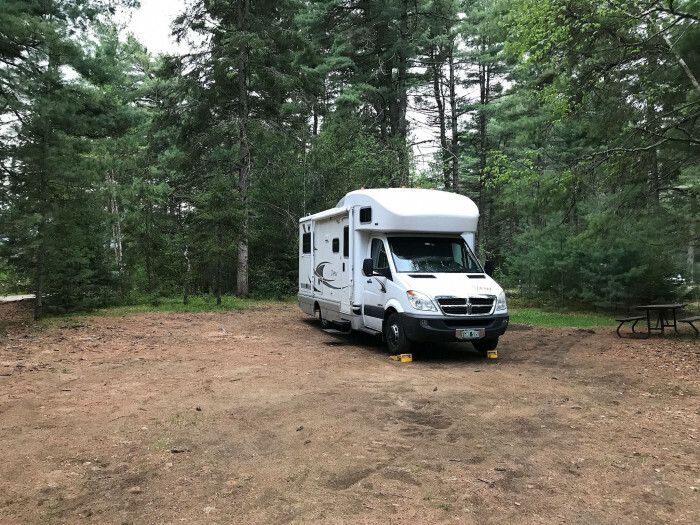 We camped at Algonquin Provincial Park - Mew Lake Campground in a Motorhome.